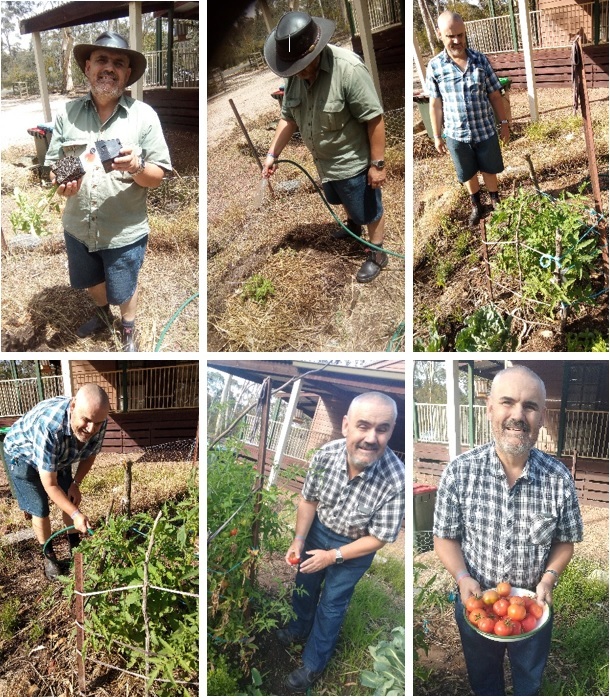 Some months ago, Interchange participant John, was inspired to grow his own tomatoes. 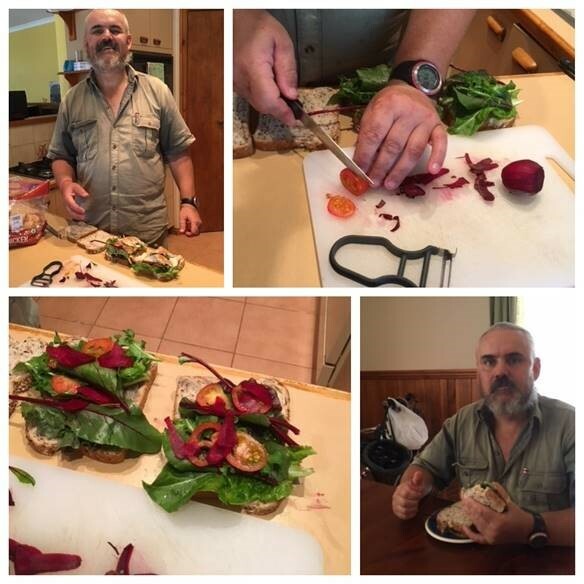 John’s already a bit of a green thumb having established a vegetable patch last year and enjoyed his harvest (see below). However, this vege patch had become a bit run down over time. John’s Community Facilitator, John has his own vegetable plot, and suggested that they visit it to get some ideas on what to plant. Following this, John purchased his tomato plants, prepared the ground, and popped them in. Now…. Interchange CF John, provided John with specific instructions to care for his tomato plants – “you must water them every day”. And that is exactly what John did! And check out his bumper crop of tomatoes! Fantastic work by our two Johns!